Tripura’s ruling Bharatiya Janata Party-Indigenous People’s Front of Tripura (BJP-IPFT) government on Monday declared to donate a sum of Rs one crore for flood relief in Kerala. State Law Minister Ratan Lal Nath while interacting with media in Agartala on Monday said that the State Cabinet convened a special meeting and took a decision in this regard. The Cabinet meeting convened at the office of State Chief Minister Biplab Kumar Deb resolved to donate Rs one crore for the victims of the devastating flood that has ravaged Kerala. 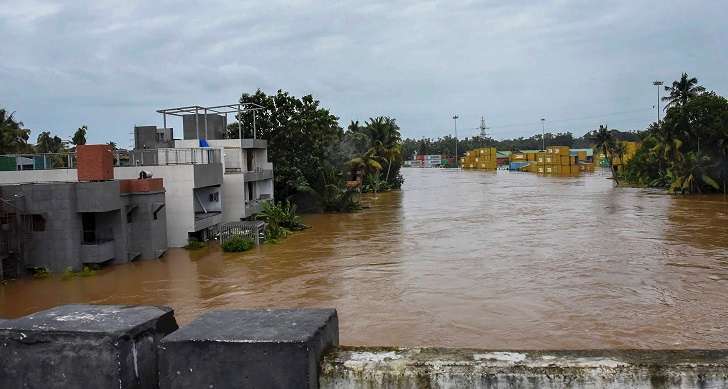 Death toll in Kerala’s devastating floods has reached 400 till date and lakhs of people are sheltered in relief camps. Around 38,000 families were rescued by different agencies over the last few days. Meanwhile, Tripura Chief Minister Biplab Kumar Deb has also appealed to the people of the State to come forward and extend all possible help to the flood victims of Kerala.